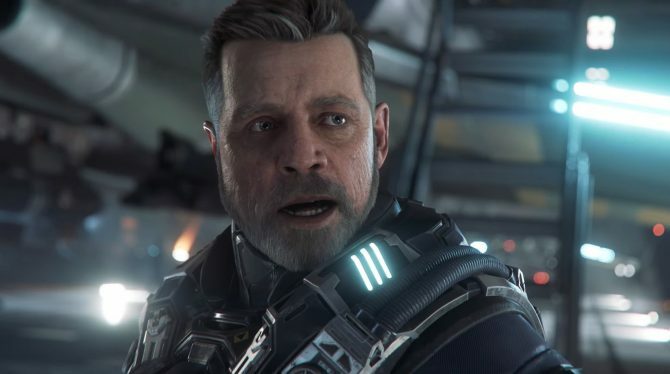 Star Citizen shows capital ships fighting each other for the first time, an impressive demo of alpha 3.0, a newly announced facial capture tech, and much more. 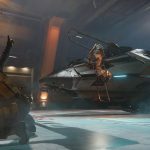 Today Chris Roberts’ Cloud Imperium games hosted an event in Cologne, Germany, unveiling quite a lot of footage and details of its upcoming game Star Citizen. First of all, we get the unveiling of the Origin 600i, that comes in both Touring and Exploration versions. You can see a trailer at the bottom of the post, and take a gander at those graceful lines. 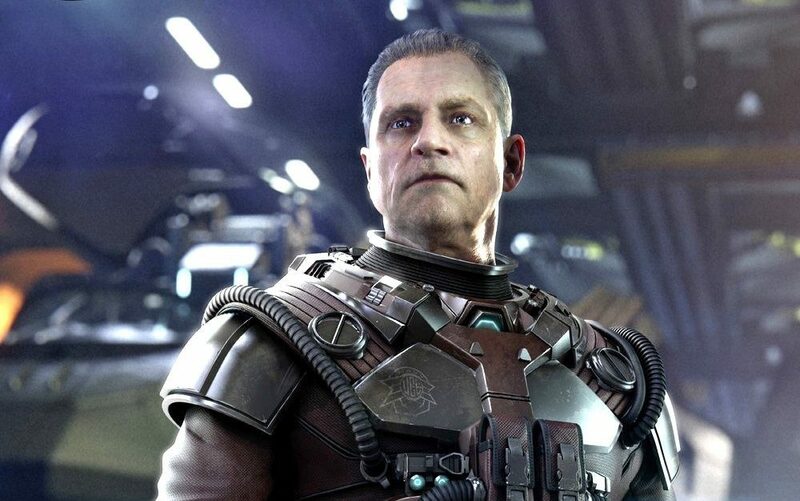 Perhaps more surprising, is the addition of FaceWare technology to the game, that will introduce real-time, player-driven facial animation into Star Citizen. 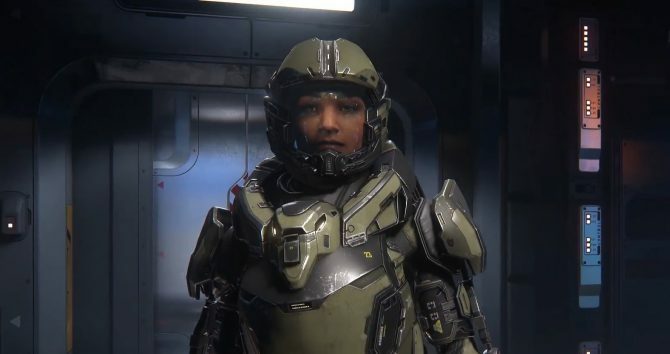 The tech will recognize each player’s facial expression, and reproduce it in real time on their character thanks to the game’s Face Over Internet Protocol (FOIP) feature. 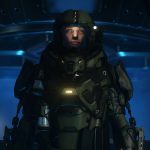 Using FaceWare‘s upcoming facial motion sensor, the tech allows the detection of hundreds of facial movements in a variety of lighting conditions, and then streams them directly on the character’s facial feature. A normal webcam can also be used, even if the quality won’t be the same. Director Chris Roberts himself accompanied the press release with a comment. Faceware Technologies Vice President of Business Development Peter Busch also commented. A video showcasing the tech is available below for your perusal. On top of that we also got a video presentation of the Alpha 3.0 version, that is slated to be released to backers in September. We get to see (the juicy part starts in the third video below at the 00:08:31 mark until 01:47:02. It then resumes once again at 02:02:28) a group of players that gets together after receiving a mission. 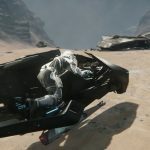 Leaving the space station on an Ursa Rover, they jump on a Constellation to land on the surface of Daymar, one of the moon introduced with the upcoming version. I won’t spoil it, but things don’t go as planned, and culminate with a massive duel between two Idris frigates (including multiple fighters taking off and landing from thnem), giving us the first look at a battle among capital ships in the game. If you’re wondering, this isn’t some sort of pre-rendered video. I saw it played in front of my eyes during a behind-closed-doors preview at Gamescom a few days ago, and it’s even more impressive when it runs on a screen (actually many screens) right in front of you. Further evidence is that a client crash on stage forced a restart at the 01:05:20 mark. 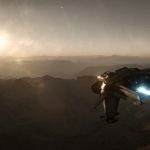 Even if the Idris itself won’t be part of the Alpha 3.0 version, but will come down the line, this is an absolutely impressive look at Star Citizen‘s future vision. There are so many innovative things going on in this demo, that it’s impossible not to wonder just how far Cloud Imperium Games will manage to carry the game. To name the most obvious, the ability to fly multi-crew player-controlled capital ships, take off and land from their hangars while sailing in space, and then walk to the cafeteria to have a chat with that cute mechanic, is something that I have dreamed to see and play since the epic days of Wing Commander. On top of the video, we also got a full official FAQ related to Alpha 3.0, including plenty of impressive details on its scope and features. You can read it at the bottom of the post. You can check the videos out below, alongside a few new screenshots and pieces of artwork. If you want to see more, you enjoy several trailers of recent ships, another video on planetary outposts, one on the MobiGlas, two more gameplay videos, one on shops and kiosks, footage on derelict ships, more on explorable planets, and one on ship persistence. Incidentally, the crowdfunding campaign has passed another milestone, and is now at over 157 million dollars. To be precise, it’s sitting on $157,140,447, pledged by 1,864,311 backers. For the sake of full disclosure, the author of this article is one of them. 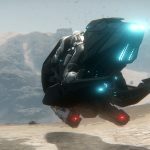 What are some of the new features of 3.0? 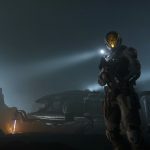 3.0 introduces a massive amount of new content for our players, including three new explorable procedural moons, mission givers, trading kiosks with tradable items, redesigned mobiGlas with increased functionality, true player persistence, the first iteration of game economy, new commodities for the player to trade, ship insurance, player interaction mode to interact with the verse in a whole new way as well as many new, unique and dynamic missions. 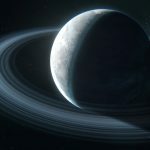 What are the main features of the procedural moons? As our planetary bodies will be set to a 1/6th scale, these first 3 moons are each roughly the same as the moon orbiting our Earth, with the smallest (Cellin) having a surface area of just over 851 thousand sq km and the largest (Yela) at 1.23 million sq. km. All of this surface area is explorable terrain for the players to experience, meaning no distinction between background and foreground assets. 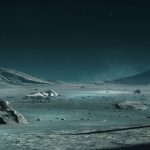 Each one of the three moons (Yela, Daymar, and Cellin) have their own unique gravity, atmosphere, and weather, creating the beginnings of our dynamic universe. These unique systems were created with our procedural generation technology, allowing for the terrain to be generated in a natural way, regardless of where the player may wish to land their ship. With this new surface area comes the need for habitation and exploration so we’ve also added key points of interest making traversing these massive locations more exciting and rewarding. How does this procedurally assisted content work? Our goal is to create not only unique and realistic destinations, but also to increase the immersion for our players by eliminating cut scenes. In 3.0, a player can fly from space into the moon’s atmosphere and then down to land on the surface without ever experiencing a break in gameplay. Are there new areas for players to explore? In our current version of the game (2.6.3), players can access all training modules like Star Marine (FPS Competitive Maps), Arena Commander (Flight Module), ArcCorp (Social Engagement), Hangars (ship viewing) as well as the current persistent universe space stations such as Grim Hex, Port Olisar, comm relay satellites, etc. 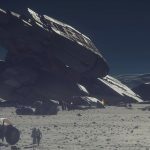 With 3.0, we have added procedurally assisted planetoid locations seamlessly forming the beginnings of the Star Citizen universe. In addition to the three moons, we’ve also added a planet-like asteroid named Delamar that’s home to a new location called Levski. An abandoned mining facility that has been converted into an independent community for political radicals and criminals who oppose the UEE (United Empire of Earth). 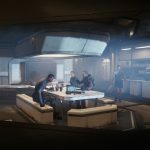 Players visiting Levski can visit shops, hangars, offices, living quarters, and more in the multi-level facility as well as obtain missions of the legal and illegal varieties. What does the implementation of cargo and trading kiosks mean for the gameplay experience? Players will now be able to utilize the cargo capacity of their ships in the universe to buy and sell commodities (such as iron, gold, titanium, quartz, hydrogen, fluorine, etc.). They can obtain cargo in one area of the universe and take it to another area to obtain the best pricing for their goods. 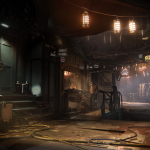 This is the foundation of the player-driven economy of the Star Citizen universe. 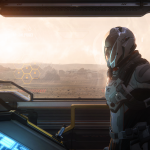 3.0 adds trading kiosks to a variety of locations within the universe, allowing players to buy and sell commodities gained through actions in the game, such as trading and missions. Once the player arrives at a kiosk, they will be able to sell the cargo that they have and purchase new items that they can then sell or use elsewhere in the universe. What changes have been made to the UI for the game? We’ve made an integrated UI for the players that comes in the form of the mobiGlas, a small portable device attached to the user’s wrist in-game. This UI is accessible throughout the universe at the touch of a button. The mobiGlas features several options that allow the player to manage their character’s equipment, vital signs, Star Map, contract manager, inventory, and many other functions. The mobiGlas is unique as a user interface due to its integration in the 3D space of the game rather than on a 2D overlay. This allows for the player to stay immersed in their gameplay rather than being pulled back into reality by a traditional game menu. Which ships will be added to the game with 3.0? 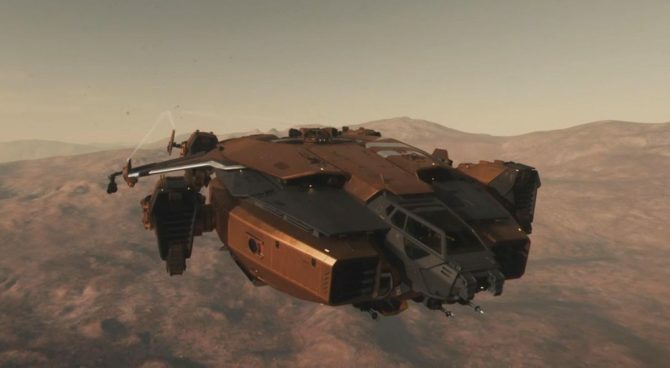 In 3.0, our players will have access to several ships that have just become flight-ready: the Drake Dragonfly, RSI Ursa Rover, MISC Prospector mining ship, and the Aopoa Nox racer.